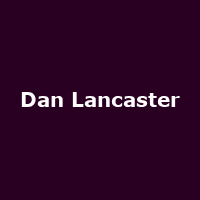 Dan Lancaster is a Grammy nominated British producer, mixer, somgwriter and musician. He has written, produced and mixed records for the likes of: Blink 182, 5 Seconds Of Summer, Bring Me The Horizon, Avril Lavigne, One OK Rock, Lower Than Atlantis and Don Broco. He released his debut album, "Curious Electric" in 2010, plus 2018's: "Move a Mountain".